Ashley Greene is a role model for other staff and students at Ormiston College. 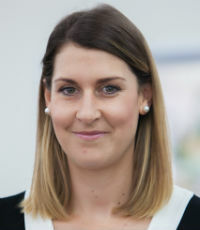 She became the college’s fourth staff member to be named an Australian Microsoft Innovative Educator Expert for her leadership in innovative approaches to teaching and learning – in particular, her use of digital tools and methodologies to create, connect and collaborate with students, colleagues, parents and the wider community. Greene has been a key driver in developing a mixed-reality pathway across the college and is constantly investigating, evaluating and sharing how this technology can improve student performance in tasks such as spatial understanding, memorisation and mental imagery. Greene has led the use of 3D modelling and mixed reality in her science classes to provide students with authentic learning activities that develop the skills they need to become digital creators.